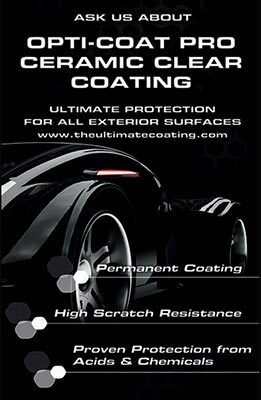 The Opti-Coat Pro pre-polymer cross links and forms a continuous protective film on the painted surface it is applied to, similar to a single component isocyanate that forms a clear coat finish. 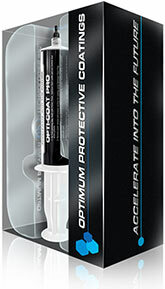 Opti-Coat Pro is superior to Ceramic Quartz, 9H Nano Coating, or any other Coating confirming to 9H scratch resistance. As it cross links with the clear coat, it is permanent in nature or you can say it’s a permanent coating.